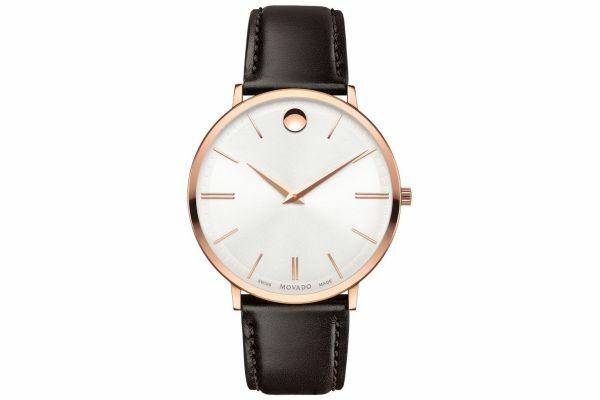 This is the stunning mens designer ultra slim watch from Movado with on trend rose gold plated casing and smooth sleek brown leather strap. The cream dial is home to a single subtle sunspot at 12 o'clock surrounded by rose gold plated batons for superb clarity. 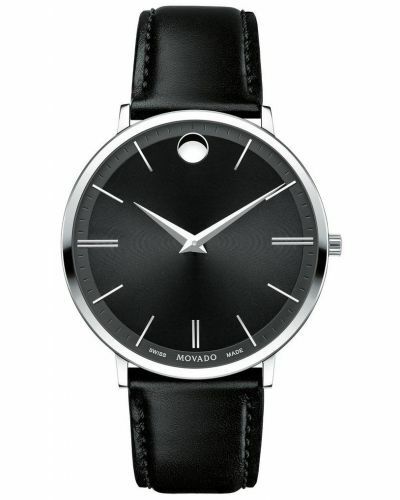 With a Swiss Made quartz movement inside, this piece offers precision and quality for any smart/casual occasion. This watch comes with a 2 year guarantee.